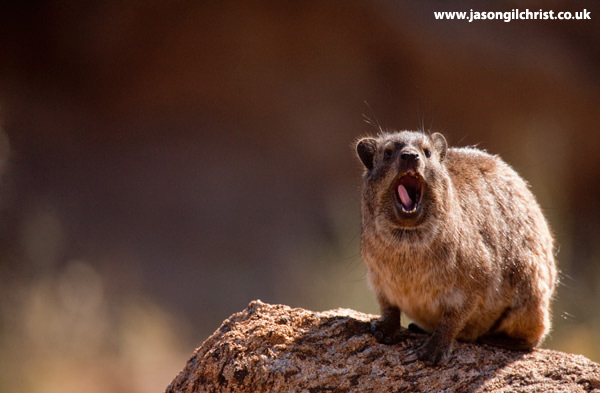 Rock hyrax (Procavia capensis) are probably the laziest mammals that I have ever observed. They sleep in the rock overnight and they sunbathe on the rock during the day. This is probably the most energetic that I have ever seen one; yawning. Their closest relatives are the elephants; look at the feet.